Hart Bageri is a bakery in Frederiksberg, Copenhagen, lead by former head baker at Tartine, Richard Hart, and backed by Noma founder René Redzepi and COO, Ben Liebmann. Richard bakes from the heart, baking bread with feeling. Having learned his craft from European masters Richard knows the rules of traditional baking, but also how to break them. It’s baking with heart and soul. Having made his mark at Tartine, San Francisco, it was time for a new adventure that began when he met René and the guys at Noma. Hart Bageri was born. The concept was simple: elevate the craft of baking for anyone who wanted to learn. Hart Bageri would be the soul of the neighborhood, willing to give away trade secrets in the interest of better bread for everyone. The kitchen would be open for all to see the process and Richard and his friendly team would be more than willing to share the love. Richard and the Noma team approached us to create a brand identity for Hart Bageri that echoes Richard’s outgoing personality, his philosophy and love for all things baked. At Hart Bageri, heart is the main ingredient. Every sourdough, tart and pastry is made with a whole lotta love – and the proof is in the pudding. To capture Richard’s unique approach to baking we created a brand idea – ‘Heart and Soul’. This idea runs through everything they bake and inspired the brand identity. Made with feeling and instinct. At Hart, everything is made by hand. No industrial processes, no pretense, no white fluffy hats. Just salt of the earth people baking genuine passion into everything they make. We took this concept and ran with it. Every part of the identity has a hand made feel, from logos to packaging. It’s straight-off-the-bat passion that celebrates baking from the gut, one-offs, and the beauty of imperfection. 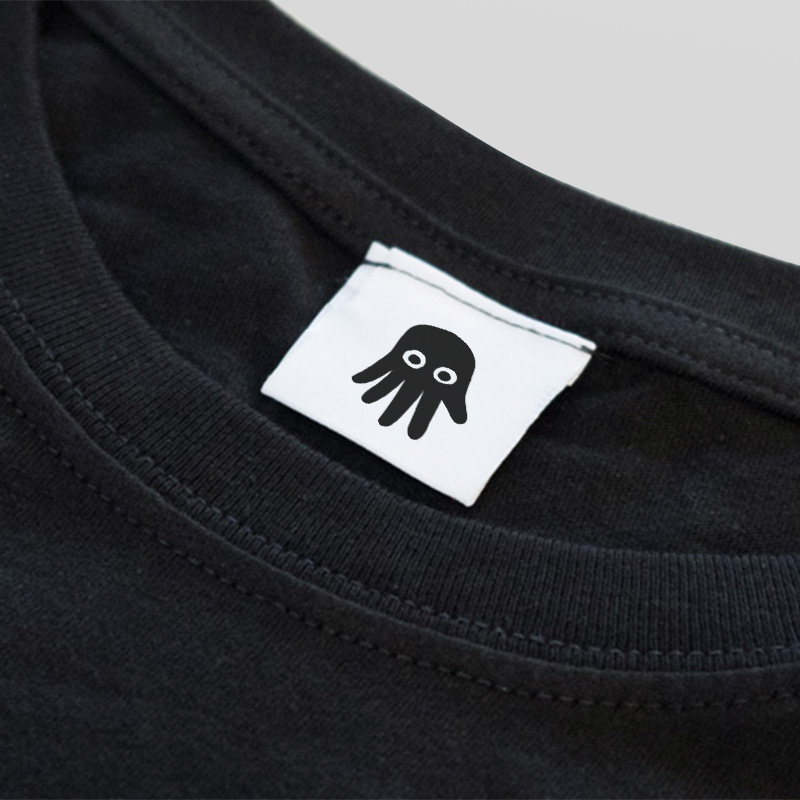 To symbolise that ethos we created a ‘baker’s mark’, inspired by a full sleeve octopus tattoo on Richard’s arm. The mark acts like a hallmark of hand made quality from the baker that made it. It’s a reaction to the mass produced nature of the bread that fills our supermarkets; a return to old values of doing thing slowly – not by machines but by people with a love of their craft, and you can taste the difference. The made by hand concept extends to the logo system. Just like the bread they bake, each is a one-off, drawn by hand in a variety of styles. The logos play out across all customer touch-points from coffee cups to packaging and everything in-between. We collaborated with NYC based interior architect, Corey Yurkovich, on the interior and exterior design of the bakery. The design was intended to be warm and inviting, whilst embracing the imperfections inherent in material choices. Charred wood echoed the charred crust of the bread. Exposed brick, revealed in the renovation, was painted to respect the heritage of the building. And poured concrete floors brought an industrial yet contemporary feel to the space. Glass display cases on the main counter were designed to showcase daily baked product with pride. A custom built, gridded storage system behind the counter provided visual interest to the space whilst being a practical storage space for baked goods.